With the last of the summer sun well and truly behind us, and the prospect of a typical English rain ahead, it’s time to set aside those summer sandals and ballet pumps for another year. What you’ll now be needing is a pair of footwear to keep your toes toasty warm and dry in what always ends up being a much longer winter than we all hope for. I am a firm believer that as long as you have one trusty pair of boots, you’ll be catered to for the entire season. They don’t have to break the bank either, shop right and find a pair that will go with almost any outfit and they’ll be your new best friends! Perfect dressed down and hastily thrown on with jeans for those early morning lectures, as well as dressed up with skirts and tights for an effortlessly chic feel. Invest what you can and they could last you until you graduate – just don’t wear them to Sugar or Hustle where they will likely get coated in grime and alcohol stains! For obvious reasons, black and brown are the go-to colour for a pair of boots you want to commit to. The neutral shade means they tend to go with anything, just decide if you want flats for comfort when travelling between lectures or a chunky heel for an added bit of style. Chelsea boots are still, and I think will remain to be, a classic style, especially if your taste is minimalistic. If you’re after something more unique, Chelsea boots can be spruced up a little if that’s more your taste with added touches such as eyelet detailing, buckles and fringing. Another classic is a pair of lace up boots, comfortable, adjustable and great with any ensemble. If you’re a little more financially able, you could consider options such as Dr. Martens, which are guaranteed to take on any weather Lancaster can throw at you. Avoid weaker materials such as suede, but if you do opt for the fabric remember to use a protection treatment on your shoes. For those more likely to look at a £100 price tag and shed a silent tear, cheaper alternatives are of course available. Topshop have an offering of lace up boots all priced around £40. With a bit of savvy shopping you wont be strapped to find a pair that suit both your needs and your bank balance! If you’re bored with ankle boots and knee-highs are more your cup of tea, brave the A/W 15 trend of over the knee boots! With many designer and high street options financially unrealistic, turn to online favourites Boohoo.com and Missguided. 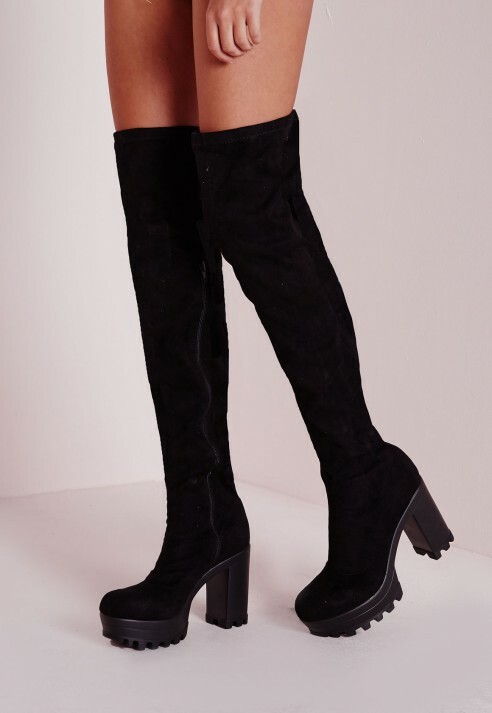 Asos also stock a perfect pair of over the knee boots for £40, which cling to the leg and add a little sophistication to your skinniest jeans! Alternatively, match them with some tights and a skirt or dress to class up your daily look. Whatever style you choose, think of your boots as an investment piece. Make sure to shop around as much as you can online and in store to find a pair that are right for you and your wardrobe.